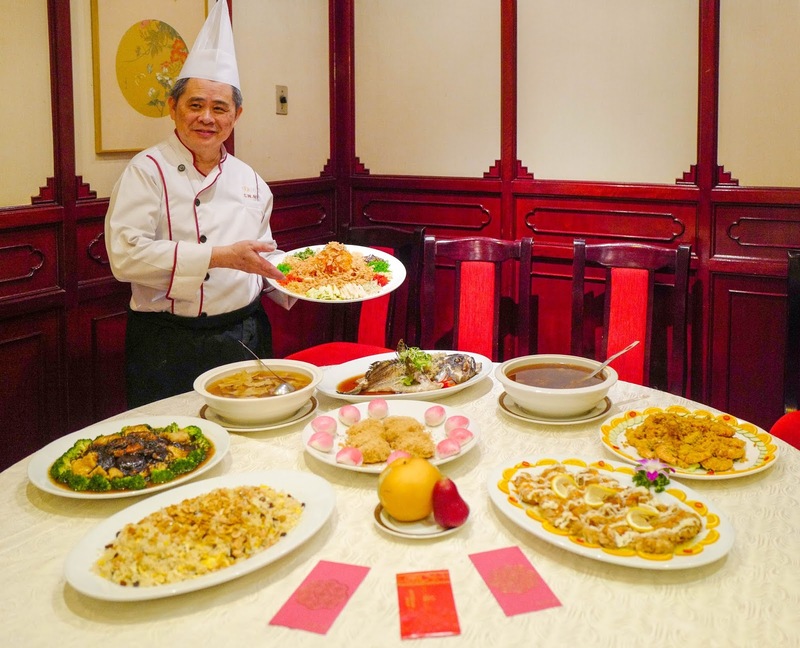 As its name promises, Ming Palace's cuisine is fit for regal banquets, making this a destination that'll delight for Chinese New Year celebration feasts, particularly for patrons who favour Cantonese and Szechuan-inspired fare. Head chef Ng Chee Wah comes from a long line of chefs in his family; he himself boasts four decades of professional experience, ensuring that a confident hand helms the kitchen at this long-enduring establishment in Corus Hotel Kuala Lumpur. For this sampling of Ming Palace's scintillating Chinese New Year Fortune Set Menu, our courses kick off with - of course - the ever-present Yee Sang. Chef Ng's arrangement has a heavy emphasis on fruits, with slices of pear, guava and pomelo conveying a ripe juiciness, pleasantly playing off the smoothness of the fresh-textured salmon and the crunch of pine nuts. This yee sang is invigorating, with plenty of lively flavours mingling in each mouthful. It's also available a la carte, starting from RM68 nett for a half-portion and from RM108 nett onwards for a full portion. After that opening burst of a tangy salad, it's right to move on to the soothing soulfulness of a full-bodied broth. The Double Boiled Chicken Soup is a cherished classic, enhanced with buttery abalone for a dash of savouriness as well as ming mok yee mushrooms for earthiness, the latter traditionally prized for being rich in iron and promoting blood circulation.